In Februar 2016 Terminal Poker was forced to shut down its services. You cannot register there anymore. To keep this article up to date and in order to always present you the best poker app available, we have inserted our Best Poker App Ranking. It is permanently updated. 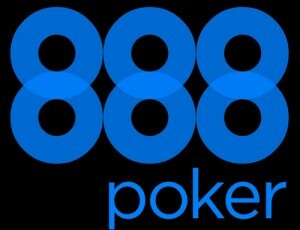 As you can see in the ranking above, we highly recommend the 888 Poker App as the best poker app available. 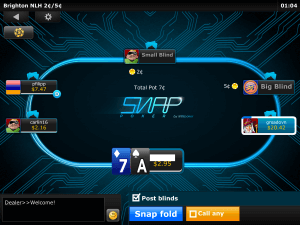 888 Poker offers Fast Fold Poker, too – the poker variant that once made Terminal Poker so unique and fun to play. TerminalPoker once was a forerunner on the mobile poker market. When its mobile html5 Instadeal client launched in 2011, Fast Fold Poker wasn’t really well known amongst mobile poker players. Sure, Fulltilt invented Rush Poker before – but it disappeared for quite a long time. In this vacuum of mobile poker, Terminalpoker launched Speed Poker and was the only room that offered Fast Fold Poker on smartphones and tablets for a period of time. As known from Rush Poker, the player is placed at a new table with new cards, when he folds. This is perfect for mobile poker, because it makes the limitation of the small screen a lot less painful for experienced players. With some innovation, the guys at TerminalPoker managed to keep their App pretty much up to date till 2014. Instadeal Poker is still fun to play. And it’s extremely easy to get started because of the no-download-app running in your mobile browser. No matter if you use an iPhone, iPad or want to play on your Android phone or Android tablet. Simply visit TerminalPoker using this link and you can play real money poker right after registration. If you want to play for real money, Terminal Poker offers a very nice first deposit bonus. Enter CCGNEW when asked for a bonus code while placing your deposit and receive 200% on top of your deposit, up to a maximum bonus of €400. If you prefer a quick and small bonus to play with directly, TP20 is the bonus code of your choice. It will instantly add €20 to your first deposit of at least €20.